In our practice, we have seen an increase in cases of Femoracetabular Impingement (FAI), and often patients come to us with a high degree of concern. This is due to the fact that the literature is lacking evidence to conservative treatment approaches, what us a Chiro’s do, and the consensus of the orthopedic solution at this point is surgery, leaving patients with little to no choice. FAI of the hip is a well-recognized entity that can cause hip pain and limit the range of motion. A patient will complain of anterior (front) hip pain which is a sharp, deep hip pain when squatting, running, stopping and starting. Changing direction may also cause pain. Although there are 2 types of FAI (cam and pincer), these 2 entities most commonly coexist. Plain radiographs (x-rays) and magnetic resonance imaging (MRI) are commonly used to assess FAI and play an integral role in the diagnosis, in conjunction with patient symptoms and clinical examination. In the last 5 years, there has been a dramatically increased interest in the concepts, pathoanatomic, and management of FAI. We at JR Chiropractic stay abreast of these developments, and in this article, we will explain conservative management options that we, in our practice can address giving you options you need as a trial of treatment. Fact or Fiction or Fantasy? Fiction: Although X-rays may be necessary for the diagnosis of FAI, this is not sufficient for diagnosis without clinical signs or symptoms. Meaning, that not everyone with FAI morphology has (or will develop) the FAI syndrome. It was once, particularly with the orthopedics, that Fai was an explanation for hip pain in young patients, this definition and scope of the diagnosis have now expanded. 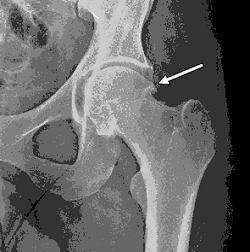 We do not know if FAI is a risk factor for premature Hip Osteoarthritis (degeneration). This is an important issue, and unfortunately, the jury is out on this issue, mainly because osteoarthritis takes years to develop so there has not been enough time to investigate its natural history. The biggest risk factor for Osteoarthritis is simply older age, so in other words, the fact that treating FAI will prevent early onset of Osteoarthritis is a fantasy, at least for now. Recent studies have reported cases where pain levels were reduced from 5/10 to 0/10 by performing Hip mobilisation and prescribed rehabilitation exercise. This highlights the importance of working with your Chiropractor to develop a specific augmented home exercise program unique to the individual patient resulting in self-management of pain associated with FAI. At JR Chiropractic we understand FAI and our highly skilled Chiropractors understand the importance of working in reducing your pain levels and working on rehabilitation with you. We can assess your Hip and offer personalized treatments that are aimed at improving your FAI symptoms, and reduce any functional impairment based on the above scientific evidence. To find out if chiropractic may be able to correct the cause of your FAI, call us today on 95996554 or book online.